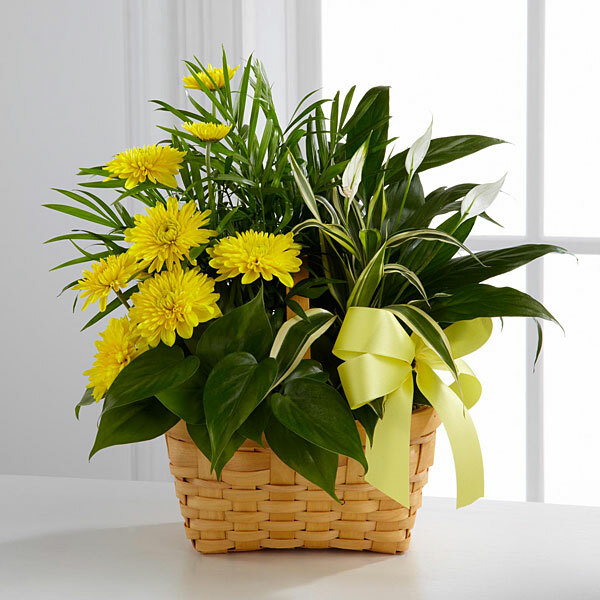 Provide comfort for the family of Stanley Kalnoski with a meaningful gesture of sympathy. 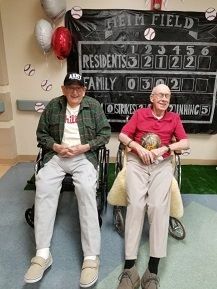 Stanley C. Kalnoski, 98, affectionately know as “Stosh” by his friends and family, passed peacefully on April 11th at Berks Heim. He was the widower of Miriam R. (Wishnieski) Kalnoski who passed on October 12, 2011. Born in Coatesville, PA he was the son of the late Roman C. and Frances (Kohan) Kalnoski. 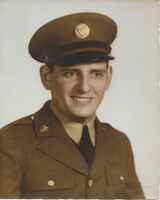 Stanley served in the Army during WWII, 16th Infantry Division. Serving in countries such as France, Italy and Africa, he was awarded several service medals including the Bronze Star, Distinguished Unit Emblem, WWII Victory Medal and the European African Middle Eastern Campaign Medal with one Silver Service Star. He played drums with the Poly Merry Makers band for many years. He also was a member of the Polish Falcons, Holy Name Society, Oakbrook Fire Company and the former St. Anthony’s RCC. Stanley worked for many years in the bakery industry as a salesman and driver, working for the former Schofer’s Bakery and later Maier’s Bakery, retiring in 1982. He and his wife, Miriam owned and operated S & M Ceramic Studio from their home on St. Bernardine Street for many years. He is survived by a son, Michael S. Kalnoski, husband of Patricia (Symanowicz) Kalnoski, Mohnton; daughter, Debra A. (Kalnoski) Linton, wife of Milton H. Linton, Lower Alsace Township; 11 grandchildren, 2 step grandchildren, 18 great-grandchildren, 6 step great-grandchildren, 1 great-great-grandchild and 1 step great-great-grandchild. In addition to his wife, Miriam, he was pre-deceased by a daughter, Carolyn E. (Kalnoski) Gerloff; brothers, Bernard, Frank and Edward; sisters, Stella, Frances and Sena “Mickey”. A Mass of Christian Burial will be celebrated Tuesday at 11 AM at St. Catharine of Siena RCC., 4975 Boyertown Pike, Reading, PA 19606. A viewing will be held Tuesday from 9:00 to 10:30 AM at Henninger Funeral Home, Inc., 229 N. 5th St., Reading. Entombment with military honors will be in Gethsemane Cemetery following Mass. Contributions may be made in Stanley’s memory to St. Catharine of Siena RCC at the above address. 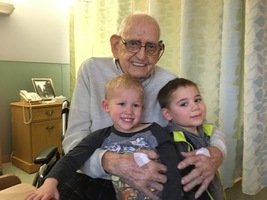 Please leave condolences online at www.henningerfuneralhome.com. 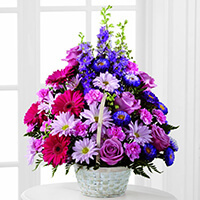 To send flowers in memory of Stanley C. "Stosh" Kalnoski, please visit our Heartfelt Sympathies Store. Reiver Family and The Molls, Dave, Gail, David, Tim, and Cathy have sent flowers to the family of Stanley C. "Stosh" Kalnoski. Remember the joy,forget all the pain.Let all your tears, fall like the rain. Remember the fun, the happy times past, The sadness you're feeling won't always last. Reiver Family purchased the The FTD Pastel Peace Basket for the family of Stanley Kalnoski. The Molls, Dave, Gail, David, Tim, and Cathy purchased flowers for the family of Stanley Kalnoski.